Lock in a great price for Pousada Xamã – rated 9.4 by recent guests! Very nice design with clean rooms overlooking the pool. Friendly staff, quiet and relaxing atmosphere. Awesome place! Great amenities, gorgeous rooms and really good location! The staff were very friendly and helpful, I definitely recommend! 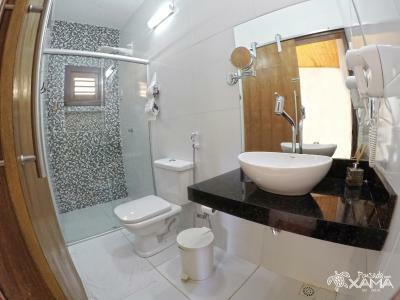 Nice and comfortable rooms with AC, clean bathrooms and common areas, great buffet breakfast. Loved the outdoor/swimming pool area. Quiet at night. We really liked the interior of the room. They have an eye even for small details. The owners care so much for the guests and everything - amazing hospitality. Excellent atmosphere overall in the pousada. This place has exceeded our expectations. The room is big, bright, clean, tastefully decorated and super comfortable. The pool and garden areas are delightful - you can spend the whole day at the hotel without any regrets! Food is very good. Staff is excellent - they will go the extra mile to make sure everything is perfect. I had a fabulous stay there! 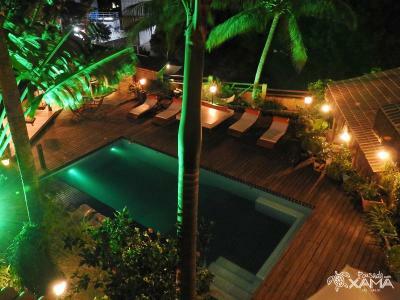 A clean, absolutely beautiful hotel with plants and an inviting pool, cool areas to lounge and a cool little gym, too. My room was clean and very comfortable (especially the bed), with a great balcony overlooking a garden. The staff were friendly and caring, I strongly recommend this place. Very friendly family, parking place for the car, awesome breakfast, beautiful room, nice pool. We stayed in Pipa for two days and enjoyed the Pousada a lot. The Pousada is located only 10 minutes from the Praia do Amor and only few minutes from the main street. We would definitely recommend to stay at this place! Everything was awesome!!! I hope I can go back to Pipa and, if thats the case, I will use this pousada again for sure!!! My wife and I had a lovely stay in Pipa at the Pousada Xama and we enjoyed our stay there very much and we would definitely stay there again. Highly recommended. Pousada Xamã This rating is a reflection of how the property compares to the industry standard when it comes to price, facilities and services available. It's based on a self-evaluation by the property. Use this rating to help choose your stay! One of our top picks in Pipa.Located 1,000 feet from Pipa center, Pousada Xamã offers an outdoor pool, a tour desk and an airport shuttle service. Golfinhos Beach is 1.9 mi away and Tibau do Sul center is 3.1 mi away. 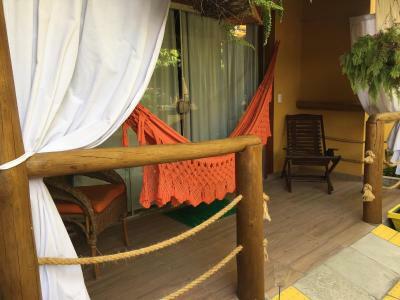 Featuring a patio with a hammock, all rooms at Pousada Xamã are equipped with air conditioning and contain an LCD TV, a mini-bar and a bathroom. They offer tiled floors, king size bed and provide bedding and bath towels. Barra do Cunhaú center is 6.2 mi away and The Largest Cashew Tree in the World is located 19 mi away. São Gonçalo do Amarante International Airport is 62 mi away. Praia do Amor beach is 800 feet away. On-site guest house parking is free. 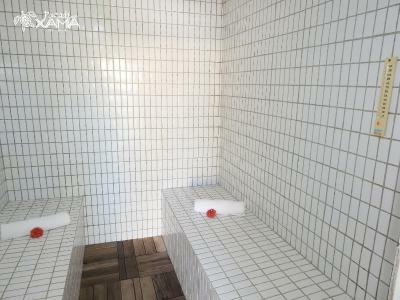 뀐 Located in the top-rated area in Pipa, this property has an excellent location score of 8.7! When would you like to stay at Pousada Xamã? Featuring a patio with a hammock and equipped with air conditioning, this room contains an LCD cable TV, a mini-bar and a bathroom. House Rules Pousada Xamã takes special requests – add in the next step! Pousada Xamã accepts these cards and reserves the right to temporarily hold an amount prior to arrival. A deposit via bank transfer is required to secure your reservation. Pousada Xamã will contact you after booking to provide bank transfer instructions. The old man is difficult to read, sometimes it feels like he is a little bit rude. Location is towards the end of the road, but still walkable to the center. Would have loved some hand soap in the bathroom sink. Everything else was perfect. Staff were very friendly, kind and thoughtful. The room and facilities were new, clean, comfortable, roomy. Good breakfast. The rooms had privacy from the others. Location was good for us because you were close enough of the center an beaches but without the noise in the nights. 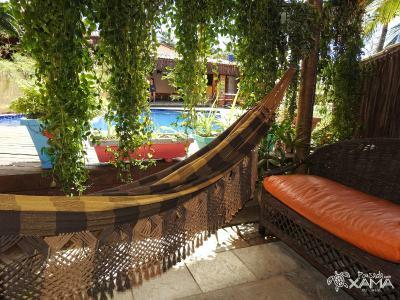 I would recommend to stay in this pousada. What a find! Superbly run pousada with a huge attention to detail. Everything perfect in evéy way. Notable 10 !